Team Australia co-head coach Adam Smith with his sons Harrison (right) and Ryker. 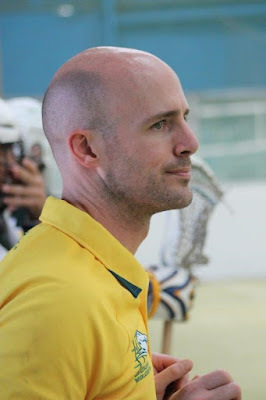 Smith was born in Australia and moved to Canada when he was eight years old and will be coaching his birth country this September when Langley Events Centre hosts the 2019 World Indoor Lacrosse Championship. Gary Ahuja Langley Events Centre photo. 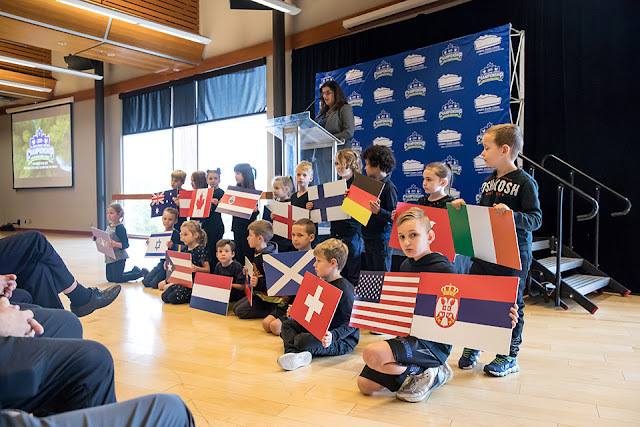 The now 39-year-old was born in Australia and remained until he was eight years old when the family of four (he has a younger sister) emigrated to Canada, settling first in North Delta before living in both Coquitlam, Surrey, Langley, and now Aldergrove. It was in North Delta that Smith first picked up a lacrosse stick, joining in the game his cousins all played, and the sport stuck. Long retired from playing the sport competitively at the Senior A level (he played five seasons in the Western Lacrosse Association from 2001 to 2005 with Burnaby and Langley) the 39-year-old Smith remains involved in the game at the coaching level as an assistant coach with the Langley Junior A Thunder and the video coach for the Senior A Thunder of the WLA. When Langley Events Centre – a venue Smith is quite familiar with from his playing and coaching days – was announced as the host venue, he was more than happy to offer up his services to help in any way he could to his birth country. And Australia took him up on the offer, naming him co-head coach to work alongside Australian-based Bob Carter. This will be Smith’s second time representing his birth country, also playing for Australia at the 2007 FIL World Indoor Championship in Halifax. Playing at the 2007 WILC was an unforgettable experience but coaching for his country is equally as amazing. This coaching gig also allowed Smith to return to Australia for the first time since his family left when he went back in 2018 for one of the team’s training camps. It came one week to the day of his family’s move 30 years earlier. “To fly around and see the different parts of the country and be introduced as a coach with the national team is pretty special,” he said. But Smith is not with the team just out of allegiance, he is there with a focus on helping Australia improve on their No. 8 world ranking. 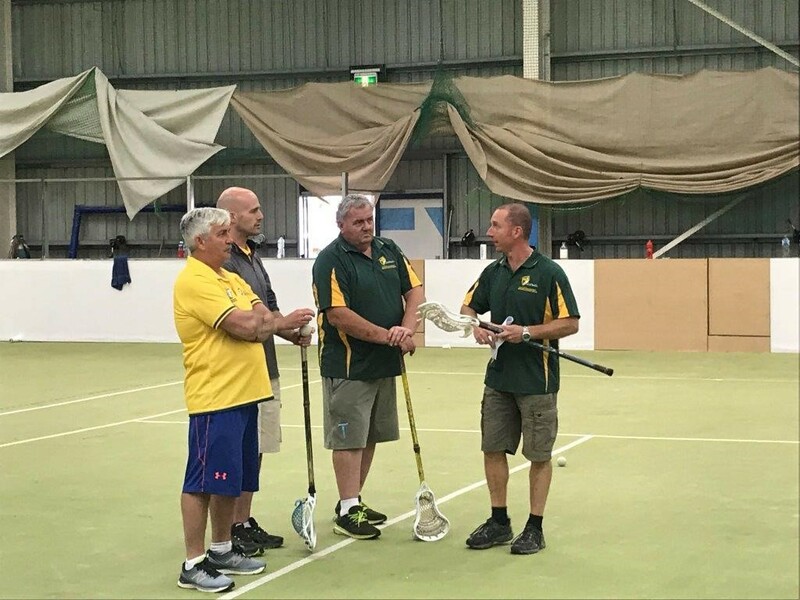 The Aussies are more accustomed to the field lacrosse game and Smith’s history in the box version will be beneficial as he helps teach the players some of the nuances of the indoor game. “It is stuff they don’t get to see every day and coming from Canada and playing all my life, it is second nature to me. That is the benefit that I am bringing,” he explained. 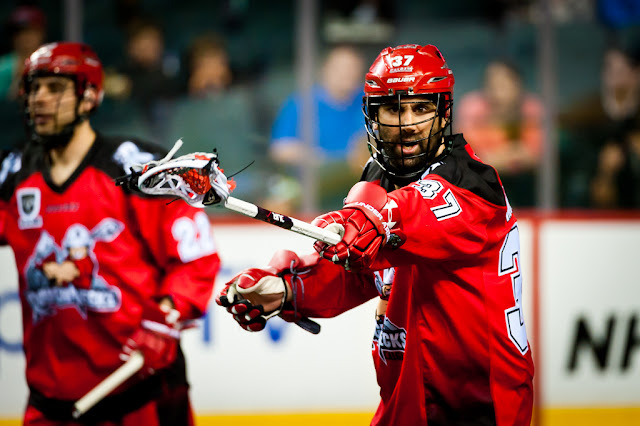 The goal is to marry the team’s current strength with what Smith can offer up from his own lacrosse background. “We want to see them play the fast-paced, hard-working, skillful game that they already do, and pair that up with the parts that I bring: some good foundations systems which let us control our defensive end on the inside and control our offensive end by moving the ball quickly and getting opportunities,” he said. At all four previous World Indoor Championships, Canada has taken top spot with Iroquois second and the United States third. Smith admits the competition will be hard-pressed to knock those three from their lofty perch. “I think our skill level has increased and I would like us to challenge for the fourth spot,” Smith said, adding it would be considered a disappointing tournament if the team was not at least playing in the fifth/sixth place game.